ALONE, the charity that supports older people to age at home, celebrated its 40th anniversary at an event hosted by the Lord Mayor of Dublin Brendan Carr in City Hall, Dublin, last night. 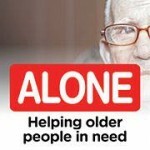 ALONE, the charity that supports older people to age at home, today launched their Christmas campaign highlighting the isolation and loneliness of older people around Christmastime. At the launch of the campaign Anne Doyle, one of Ireland’s best loved broadcasters, urged members of the public to reach out to the older members of their community this Christmas and offer support to those who are living alone. 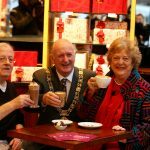 ALONE, the charity that supports older people to age at home, today launched Ireland’s first contactless collection boxes for the Christmas period. The boxes will be in The Butler’s Pantry’s ten shops from the end of November until January 2017. 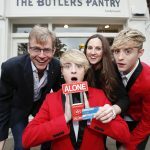 Ireland’s most famous duo Jedward joined today’s launch and called on the public to ‘tap to give’ and support older people this Christmas. ALONE, the charity that cares for older people in need, are highlighting the health effects of loneliness during their 2015 Friendship week (9th – 13th February). ALONE believe that combating loneliness should be viewed as a preventative health measure by the Department of Health. In Ireland, almost 1 in 3 older people live on their own (29%), and 7-9% of older people suffer from chronic loneliness. In recent years, a wide range of studies have shown that isolation and loneliness affect the physical, mental and emotional wellbeing of an individual. Loneliness is proven to be as damaging to your health as smoking 15 cigarettes a day. 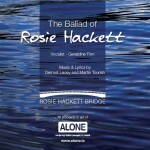 ALONE, the charity that cares for older people in need, has released a new charity single titled The Ballad of Rosie Hackett. Inspired by the new Rosie Hackett Bridge spanning the Liffey, the song was written by Councillor Dermot Lacey, composed by Martin Tourish and the beautiful vocals were provided by Geraldine Finn. 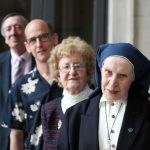 17th March 2014 Dublin, This St. Patricks Day, ALONE, the charity that provides support to older people in need, is highlighting one of the lesser known effects of emigration. ALONE report an increase in the number of older people requiring their services as a direct result of their children and grandchildren emigrating.